Panoramic Ocean ViewsNever to be built out, magnificent panoramic ocean views from this solidly constructed clad and tile roof two bedroom home (circa 1939) with aluminium windows, high ceilings and picture rails. Positioned on an elevated 600 square metre block, zoned R2 with street frontage at the front and laneway access at the side for the detached garage. 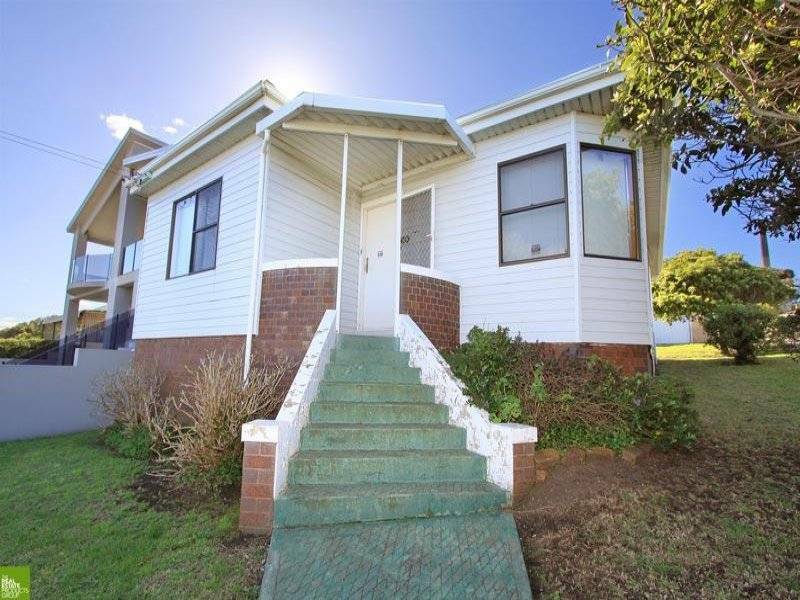 This property is easy walking distance to beautiful Port Kembla Beach and saltwater pool. Its potential is just waiting to be discovered.